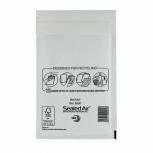 Mail Lite Bubble Lined Size D/1 180x260mm White Postal Bag (Pack of 100) MLW D/1 Pack of 1 Sealed Air Mail Lite protective Postal Bags. 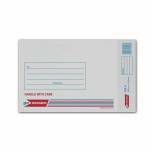 White outer Kraft offers the perfect solution for high impact quality mailings with the added security of the Air Cap bubble lining. Internal dimensions - 180x260mm. 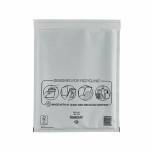 Mail Lite Bubble Lined Size H/5 270x360mm Postal Bag (Pack of 50) MLW H/5 Pack of 1 Sealed Air Mail Lite protective Postal Bags. White outer Kraft offers the perfect solution for high impact quality mailings with the added security of the AirCap bubble lining. Internal dimensions - 270x360mm. 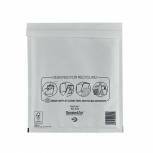 Mail Lite Bubble Lined Size F/3 220x330mm White Postal Bag (Pack of 50) MLW F/3 Pack of 1 Sealed Air Mail Lite protective Postal Bags. White outer Kraft offers the perfect solution for high impact quality mailings with the added security of the Air Cap bubble lining. Internal dimensions - 220x330mm. 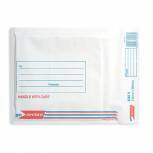 Mail Lite Bubble Lined Size B/00 120x210mm White Postal Bag (Pack of 100) MLW B/00 Pack of 1 Sealed Air Mail Lite protective Postal Bags. White outer Kraft offers the perfect solution for high impact quality mailings with the added security of the AirCap bubble lining. Internal dimensions - 120x210mm. 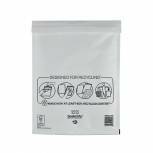 Jiffy AirKraft Bag 170x245mm White (Pack of 100) JL-1 Pack of 1 Designed as a lighter weight postal bag for large volume mailings. Size 1. Internal dimensions 170 x 245mm. 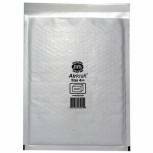 Mail Lite Bubble Lined Size K/7 350x470mm White Postal Bag (Pack of 50) MLW K/7 Pack of 1 Sealed Air Mail Lite protective Postal Bags. White outer Kraft offers the perfect solution for high impact quality mailings with the added security of the AirCap bubble lining. Internal dimensions - 350x470mm. 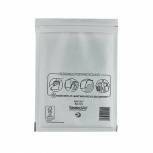 Mail Lite Bubble Lined Size C/0 150x210mm White Postal Bag (Pack of 100) MLW C/0 Pack of 1 Sealed Air Mail Lite protective Postal Bags. White outer Kraft offers the perfect solution for high impact quality mailings with the added security of the AirCap bubble lining. Internal dimensions - 150x210mm. 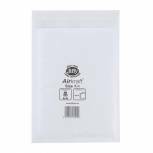 Jiffy AirKraft Bag 260x345mm White (Pack of 50) JL-5 Pack of 1 Designed as a lighter weight postal bag for large volume mailings. Size 5. Internal dimensions 260 x 345mm. 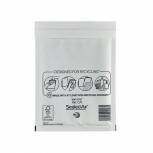 GoSecure Bubble Lined Envelope Size 3 150x215mm White (Pack of 100) KF71448 Pack of 1 Bubble Lined Bags. Perfect for protecting against shocks and punctures. Easy to write on surface. Labels adhere easily. Size 3 150 x 215mm. 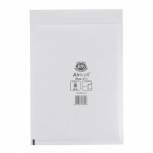 Jiffy AirKraft Bag 140x195mm White (Pack of 100) JL-0 Pack of 1 Designed as a lighter weight postal bag for large volume mailings. Size 0. Internal dimensions 140 x 195mm. 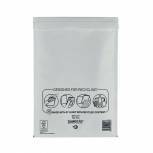 Jiffy AirKraft Bag 220x320mm White (Pack of 50) JL-3 Pack of 1 Designed as a lighter weight postal bag for large volume mailings. Size 3. Internal dimensions 220 x 320mm. 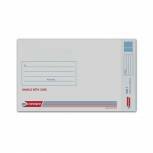 Jiffy AirKraft Bag 240x320mm White (Pack of 50) JL-4 Pack of 1 Designed as a lighter weight postal bag for large volume mailings. Size 4. Internal dimensions 240 x 320mm. 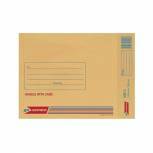 GoSecure Bubble Lined Envelope Size 5 220x265mm Gold (Pack of 100) ML10050 Pack of 1 Economical and eco-friendly bubble-lined envelopes. Trifix closure. Made using uncoated paper. 1cm continuously sealed edges for tear resistance. Brown. Size 5 220 x 265mm. 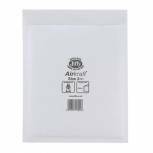 Jiffy AirKraft Bag 205x245mm White (Pack of 100) JL-2 Pack of 1 Designed as a lighter weight postal bag for large volume mailings. Size 2. Internal dimensions 205 x 245mm. 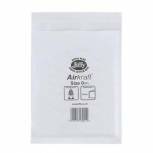 Jiffy AirKraft Bag Size 4 240x320mm Gold (Pack of 50) JL-GO-4 Pack of 1 Jiffy Airkraft Bubble Bags. Bubble lined envelopes with self Seal closure. 240x320mm Gold Pack 50. 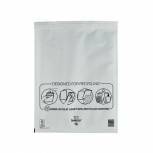 Mail Lite Bubble Lined Size G/4 240x330mm White Postal Bag (Pack of 50) MLW G/4 Pack of 1 Sealed Air Mail Lite protective Postal Bags. White outer Kraft offers the perfect solution for high impact quality mailings with the added security of the AirCap bubble lining. Internal dimensions - 240x330mm. 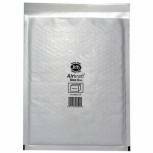 Mail Lite Bubble Lined Size E/2 220x260mm White Postal Bag (Pack of 100) MLW E/2 Pack of 1 Sealed Air Mail Lite protective Postal Bags. White outer Kraft offers the perfect solution for high impact quality mailings with the added security of the Air Cap bubble lining. Internal dimensions - 220x260mm.